I had a hard time trying to come up with a project for the letter I until it dawned on me......IMAGINATION!! We use our Imagination to create these projects each and every time we have a hop. So I am going to share with you some of the custom creations that I have made this past week for some ladies in direct sales. First up is Grace Adele. I had a customer ask me for some cards for her expanding team. With a glance at the website for colors and the firing up of my Cricut machine, here is what I whipped up. Next, I had a customer ask me for some thank you cards to use in her business. 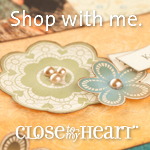 She is with Origami Owl and so this is what I was able to do for her. 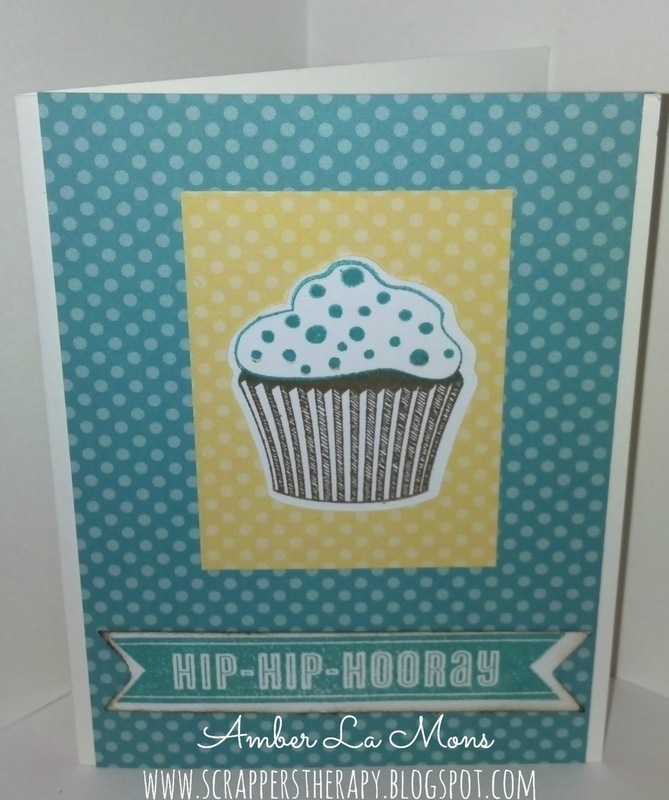 Another customer asked me for a variety of cards, ranging from birthday to baby. It took me a bit to come up with these designs but I am so happy with the results. To create the techniques featured in this artwork, follow the helpful hints outlined below. Then use the Reflections: Quartet—Condensed™ pattern found on page 111 of our how-to publication for inspiration. 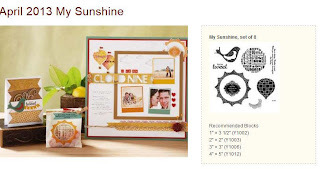 To cut clouds and have the reverse effect inside the frame on the page, place 7 3/4" × 7 3/4" White Daisy cardstock on mat; load into machine and program machine to cut cloud in this size order, making sure to not remove the paper between each cut: 1", 1/2", and 3/4"; remove shapes from square; keep shapes and square with reverse images for page. To create the look that the clouds inside the frame are floating, first attach the open Desert Sand square over the White Daisy square then attach to page with 3-D foam tape. To create the two-tone look on the sun image, ink image in light color first then add darker ink by sponging randomly on top of lighter ink; stamp on bag. Fill bag with goodies then fold top over and stitch to close. 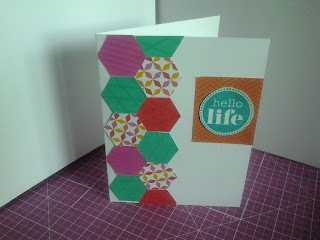 Here is the card I created featuring Hexagons! 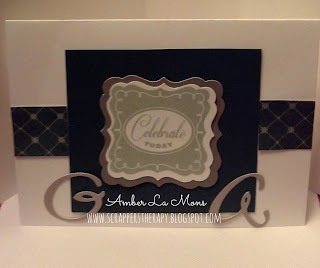 I am in love with this shape and the new Dream Pop paper pack! This card was so easy because no cutting was involved. I started with a White Daisy cardstock base cut at 4 1/4 x 5 1/2. I then used a hexagon punch to make the shapes using different papers in the Dream Pop pack. You can see the texture in the solid hexagons but I promise they are SO much better in person!. I then punched a 2 x 2 square from one of the tangerine papers. I stamped the sentiment in Lagoon ink from a retired set called It's Your Day and then punched it out using a 1 1/2" circle punch. It was so easy and took all of 10 minutes to make. The Dream Pop paper pack will be available in May for only $10 with a $35 purchase. There are exclusive colors not in our normal palette in this packet and it has such bright, summery colors in it. You can send me an email to sign up for my newsletter HERE to make sure you don't miss the notification. We will be featuring artwork from the Chantilly paper pack. If you have come here from Karen's blog, then you are on the right path. Your next stop will be Keeley's Blog. For this hop I created a card using the Chantilly papers. 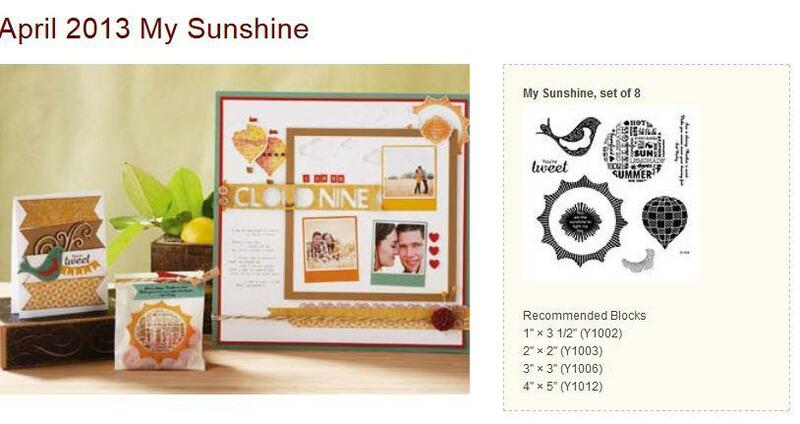 This is by far my favorite paper pack in the Spring/Summer Idea book from Close to my Heart. I love the bright colors and the versatility with the darker hues of blue in the Twilight and Outdoor Denim, that can make this paper fit any occassion. I started with a White Daisy cardstock base cut at the standard 4 1/4"x 5 1/2 " size. I then cut a sheet of the patterned paper from the pack at the same size. 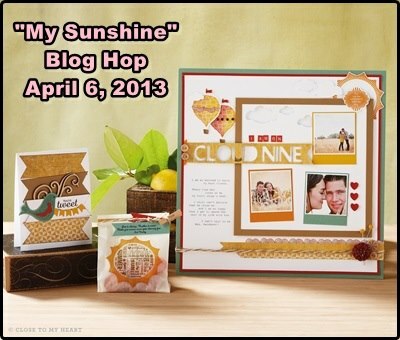 I used the Twilight cardstock and Artiste cartridge to cut out the coordinating image from the April stamp of the month set, My Sunshine. I then stamped the bird in Twilight ink. 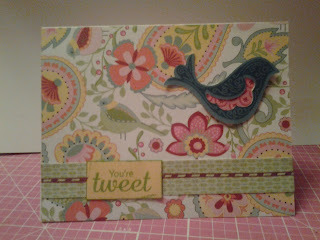 I placed a small piece of coordinating patterned cardstock under the bird to fill in the wing. I then cut a piece of patterned cardstock to 1 1/2" x 5 1/2" to place along the bottom. 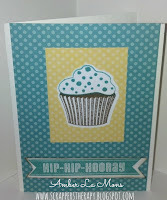 I stamped the sentiment from the same set in Pear ink on the Buttercup cardstock that comes in this pack. I finished it off by using an image from the May stamp of the month (psst, you can get this set early and for FREE when you join my team this month) in Ruby ink. 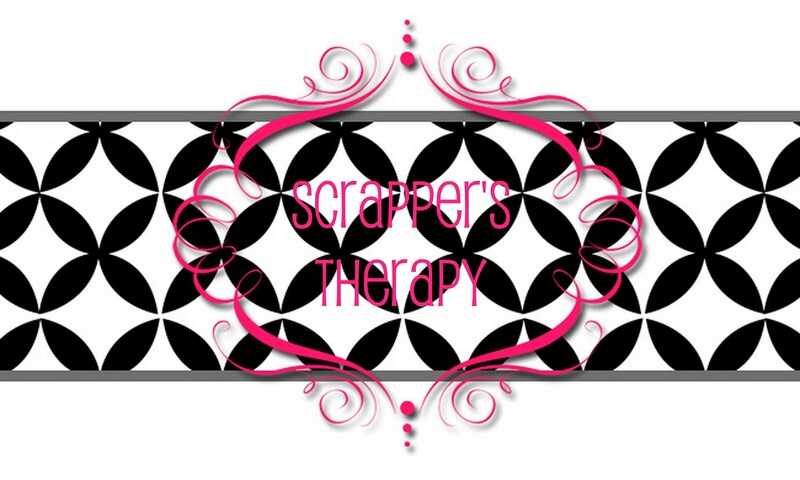 If you have just hopped onto my blog, please start at the beginning at Lucy's blog – Love 2 Create If you came from Darla of Caution: Crafting is Contagious then you are in the right place! This card was very easy. I started with a standard sized card base (4 1/4 x 5 1/2). I then used the circular subway art stamp to randomly stamp in both honey and sunset inks. 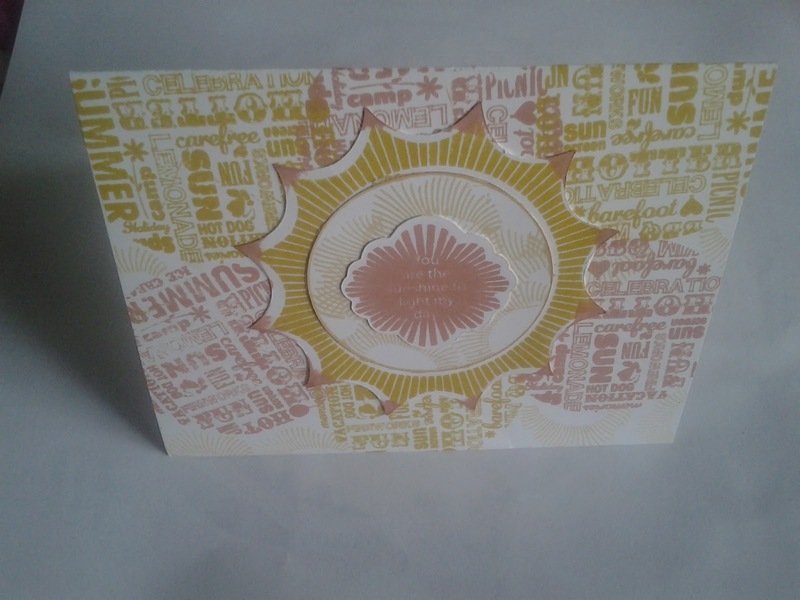 I then used my Artiste cartridge to cut out the coordinating image with the sun stamp. I first stamped the sun in honey and then brushed the tips with the sunset pad. I then used the cloud image with honey ink and randomly stamped the center to give it some background. The final step was to use the Artiste cartridge again to cut out the small center shape that coordinates with the sentiment stamp. That was done in sunset ink. Your next stop on our "My Sunshine" hop is Jennifer of 4 Hearts Scrapbooking.